Britain has been warned not to “divide and conquer” the remaining 27 EU countries in upcoming Brexit trade talks as it could be “damaging for the UK”. 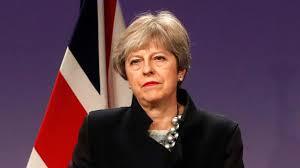 This has come in a report from think tank the Institute for Government, which has warned Prime Minister Theresa May and her ministers not to win over individual countries behind the back of the European Commission through fear of damaging the UK’s image at such a crucial time. It added that while the differing priorities of the EU27 remain important, it must also remember that member state governments and business lobbies are “united in their view that the integrity of the single market is the priority”. “The UK should ensure that its negotiating approach takes these interests into account but it needs to tread carefully. “Many on the continent saw a flurry of ministerial visits to European capitals in the autumn of 2017 as an attempt to go behind the back of the European Commission and try to ‘divide and conquer’ the EU 27. “It would be damaging for the UK if this perception persisted into phase two. Trade talks are set to begin after a transition deal was agreed at the European Council summit on Monday, and the report claims some Brexiteers believe Britain will benefit from a good deal by the interest of individual member states in preserving their export markets. A final Brexit deal must be approved by a qualified majority of the European Council, including at least 20 countries representing almost two-thirds of the population of the EU27 – in addition to a majority of MEPs in the European Parliament. The Institute for Government argued it would be wrong to expect the solidarity shown by the EU27 around citizens’ rights and the UK’s financial position to “crumble” now talks have moved onto trade. But it warned Britain will need to put forward a detailed proposal to show it fully understands their interests around the future of the bloc. “There are many reasons why the EU27 will want a close future relationship with the UK, and they will all have their own priorities. “That does not mean that the consensus that has prevailed so far will crumble. “All member states share an interest in a deal that protects the integrity of the single market and the stability of the EU, despite their differing visions for the future of the bloc. “By recognising the interests of the member states, the UK can strengthen its relationship with its potential allies in the EU27 to build the special relationship it hopes for.